India’s leading private carrier Jet Airways issued Termination Notices to 110 of its employees on the eve of May Day. The airline faces losses as its revenue has been falling since early last year. This is one of the measures of the company to cut costs in the challenging economic environment. Also the Airlines has issued notices to some superannuated employees who are on contract of extension of services. 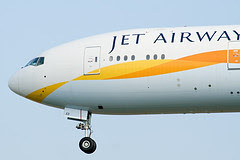 According to the Jet Airways the terminations are in accordance with the law and the employees’ service conditions. 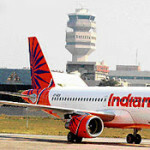 Out of the 110 terminated employees 50 were on contract basis and the remaining 60 were on probation for the cabin crew. Last week, Jet had cut the salaries of its employees drawing a gross monthly salary of over Rs.75,000 by up to 25 percent. How to Prevent Osteoporosis- Loss of Bone Density?